This is the 14th in a 15-part series on the stars and trends in “Hallyu” or Korean wave, which is gaining global popularity in Southeast Asia and Latin America. The Korea Times produces this special project in cooperation with the Korean Foundation and CJ E&M. ― ED. If the 10-million milestone in Korean film industry is a good barometer, the Korean film industry is enjoying yet another renaissance since making it big in the early 2000s. The biggest hit of this year is “The Thieves,” which was released in July. 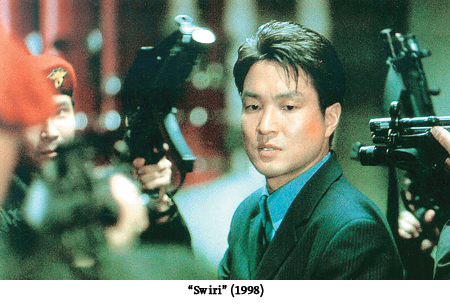 The heist film directed by Choi Dong-hoon with an all-star cast including Kim Hye-soo and Jun Ji-hyun currently has been seen by 13.02 million people, beating out “The Host” (2006) that attracted 13.01. It’s also the sixth film to surpass the 10 million mark in the history of Korean cinema. 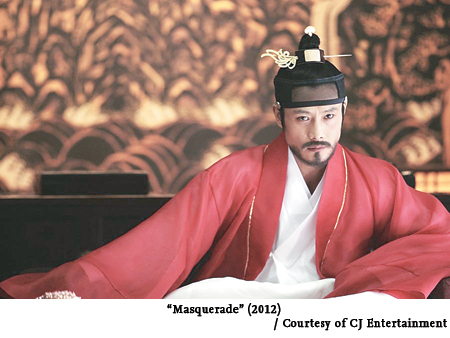 Following closely on its heel is “Masquerade” starring Korean heartthrob Lee Byung-hun and directed by Choo Chang-min. After a little over a month since its release, some 9 million have watched the movie and the number is expected to rise. Aside from these commercial hits, Korea’s auteur director Kim Ki-duk’s bleak-morality tale won the Golden Lion for best movie at the 69th Venice Film Festival. His film, “Pieta,” has also been submitted as a foreign language candidate for the Oscars. Korean films initially appeared on the international cinema circuit around the turn of the 20th century. A number of Korean movies were already enjoying global attention before “hallyu,” or the Korean Wave, took Asia by storm with K-pop songs and television dramas. 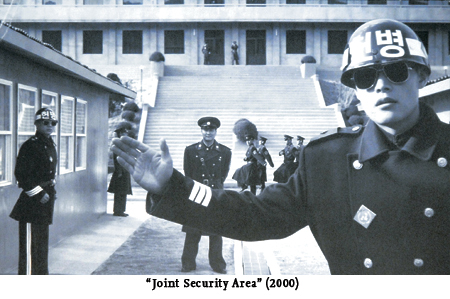 Quality films like Kang Je-kyu’s “Swiri” (1998), Park Chan-wook’s “Joint Security Area” (2000), and “My Sassy Girl” (2001) are among them. But the big spotlight came particularly with Park’s “Old Boy” (2003). Since then, the world’s attention shifted toward K-pop. “Korean culture has received a warm reception from around the world thanks to K-pop that paved the way to enter the world market for films and television miniseries, and it pushed up exports,” film critic Park Woo-sung said Monday. Also Korean directors are making successful inroads in Hollywood, if the ability to cast A-listers can attest to this. Park and Bong have shot new movies in the United States with big Hollywood names. Park cast stars like Nicole Kidman and Matthew Goode for “Stoker,” which will be released next year. Director Kim Jee-woon also recently shot his new film “Last Stand” (set to be released on Jan. 18, 2013) in the world’s biggest film market with actors Arnold Schwarzenegger and Forest Whitaker. The rise in K-films is invariably linked to Hollywood as well. “Hollywood has gradually been losing its monopoly so it is looking for new subject matter from abroad and Korea is one of the attractive markets for remake rights,” said Jung. Amid such a spike in the popularity of domestic films, movie exports are booming, reaching $15.8 million in 2011, a 13.8 percent increase year-on-year. A total of 358 movies were exported, 82 more than last year. It reversed a six-year contraction. More Korean films are premiering at international film festivals. “The Thieves” has been selected to open the London Korean Film Festival and will close the Paris Korean Film Festival in November. It was sold to such Asian countries as China, Singapore and Thailand even before its release here and is also set to be released in 12 cities worldwide including Los Angeles and New York. The country has also been the host of various film festivals. The Busan International Festival, which closed Saturday, has positioned itself as the biggest of its kind in Asia and eighth biggest in the world since 1996. 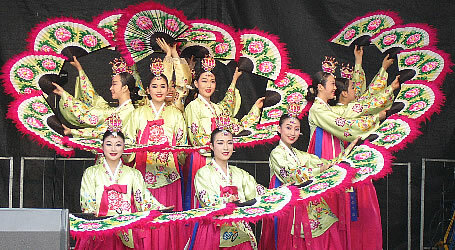 The Jeonju International Film Festival, which debuted in 2001, focuses on digital, independent and art films. Other well-known events include the Puchon International Fantastic Film Festival, the International Women’s Film Festival and the Jechon International Music & Film Festival. Korean cinema dates back to 1903 when people paid to watch moving pictures of scenery from Korea and abroad in Dongdaemun, eastern Seoul. In 1919, the first Korean film was made, a kino-drama “Fight for Justice” directed by Kim do-san. 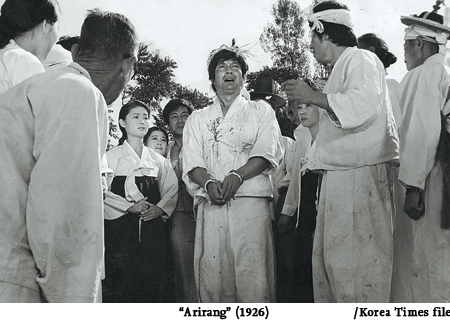 After that such silent Korean movies as “Arirang” (1926) were produced over the next few years with better techniques and production values. When the Park Chung-hee administration took office in the 1960s, seen as a golden age, it pushed a program of state-led industrialization and economic development in every area of society and cinema was no exception. It ushered in a more stable system through corporation-style production so companies cranked out films, spanning a wide variety of genres. 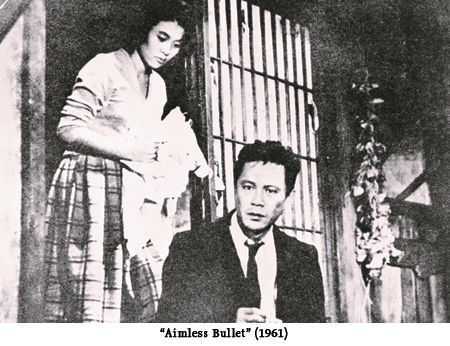 Notable movies in this era include “Aimless Bullet” (1961) by Yu Hyun-mok, “Mother and A Guest” (1961) by Shin Sang-ok and “Sound of Magpies” (1967) by Kim Soo-yong. 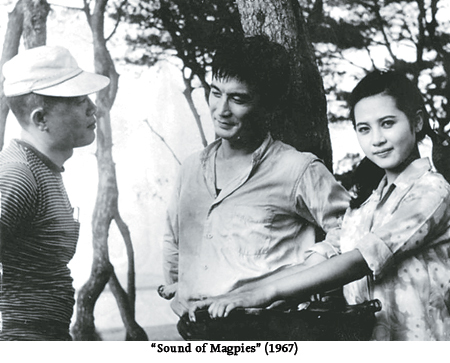 Korean film has been through many twists and turns since the golden age and finally regained its momentum. For more information, visit www. enewsworld.com.